BFG Poster: From the Human Beans That Created E.T. The BFG Poster: From the Human Beans That Created E.T. Walt Disney Pictures has revealed the first poster for director Steven Spielberg’s highly-anticipated adaptation of the Roald Dahl classic, The BFG. 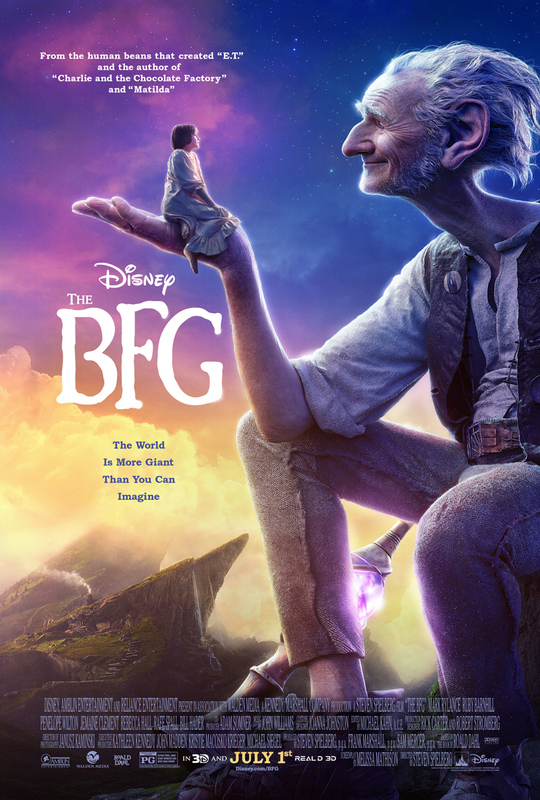 You can view The BFG poster in the gallery below! Directed by three-time Academy Award winner Steven Spielberg (Bridge of Spies, Schindler’s List, Saving Private Ryan) from a screenplay by Melissa Mathison (E.T. : The Extra-Terrestrial, The Black Stallion) based on the best-selling novel by Roald Dahl, The BFG stars three-time Tony Award and two-time Olivier Award winner Mark Rylance, newcomer Ruby Barnhill, Penelope Wilton, Jemaine Clement, Rebecca Hall, Rafe Spall and Bill Hader. The film is produced by Spielberg, Frank Marshall (Jurassic World, The Bourne Ultimatum) and Sam Mercer (Snow White and the Huntsman, The Sixth Sense) with Kathleen Kennedy (Star Wars: The Force Awakens, Lincoln), John Madden (The Best Exotic Marigold Hotel, Shakespeare in Love), Kristie Macosko Krieger (Bridge of Spies, Lincoln), Michael Siegel (Charlie and the Chocolate Factory, Rise of the Guardians), Frank Smith and Naia Cucukov serving as executive producers. 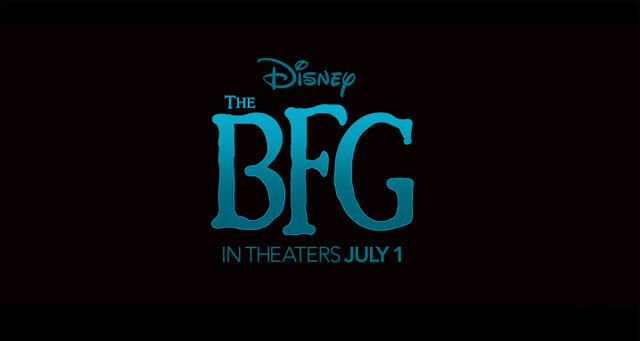 The BFG opens in U.S. theaters on July 1, 2016, the year that marks the 100th anniversary of Dahl’s birth.